Combine TIFF to PDF with the help of Coolutils! TIFFs have been around as a file format for a very long time for a few solid reasons: they are a great format for working with high-res source graphics, they are an industry standard in many fields such as publishing and their support for multi-page files is incredibly handy. They are often not the best file format when it comes to sharing work with colleagues or passing files on to clients however. You simply cannot be sure the recipient will be able to open the file. PDFs, on the other hand, are pretty much universal these days so the solution you will often end up looking for is a way to combine TIFF to PDF. Ideally, this would be in the form of a simple, dedicated tool you can fire up as needed to fly through the job. That is where our Tiff Combine software comes into its own. 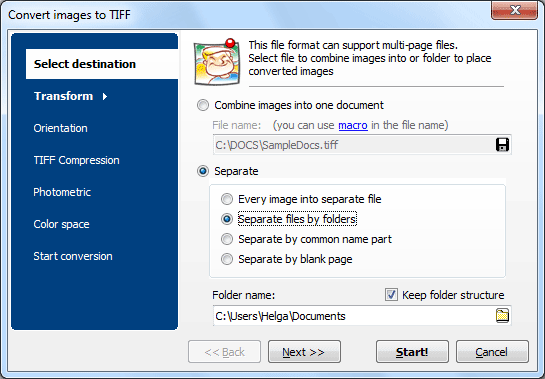 It is a powerful, full-featured tool that will let you combine several TIFF images into one multi-page PDF with ease. 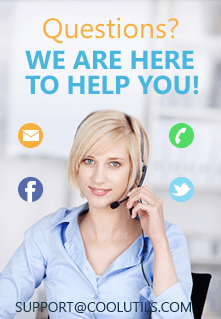 Rather than having to open several applications and export as PDF by hand, you will be able to get the job done quickly from one place and get back to your work. The software comes with a range of impressive options for handling files in bulk and sophisticated folder processing options. Users will also appreciate the full range of PDF options that are fully under your control. You are free to add security settings such as specific user permissions and password protection. The addition of digital signatures is also supported. All of this functionality is available through Tiff Combine's intuitive graphical user interface where a couple of clicks is all that's needed to generate any number of PDF files. Power users can also combine TIFF to PDF via command line with just a few keystrokes from the comfort of an interface where they may be more comfortable. A server-based version of the software with ActiveX support is also available in the form of TiffCombineX. Don not simply take our word for it on Tiff Combine's incredible value for money. Download a free, fully functional, thirty-day free trial of the software today and discover how much time it can save you and your team!